There are so many models and makes on the mandolin market. And that was a lot of alliteration! But due to the all the choices, we have put together this article that will hopefully help you understand the different factors when it comes to pricing these instruments, and this will in turn help you decide where your price point is before selecting a mandolin to purchase. For example, you may not want to spend much more than $300 on a mandolin, but you may find that you will have to, depending on the style of music you want to play, or the design you prefer. There are three things to consider when selecting the right mandolin for yourself: your budget, your dedication to learning and playing the instrument and desire for certain features. Look at playability, overall appearance and sound. Typically, one in particular will speak to you and you’ll have found the right instrument. All the pieces will sort of fit into place. But to get there, you need some background knowledge, and that is why we have put together this helpful article on how to price out mandolins, so you can find the one that works best for you. First, pay as much as you can afford. If you can afford $500, even if you have to wait an extra pay period, then wait and spend the $500. Second, remember that A style mandolins are the best value. They may not look as fancy as the F styles, but because they are easier to manufacture/to carve and build, they come in at a cheaper price point. 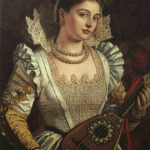 They are also truer to the lute shape and style, and are favoured by folk and classical players. F style mandolins add nothing to the sound; they sound just like A style mandolins. You are paying for the extra design work. If you are interested in the F style and can afford it, then by all means, go for it! But do keep an open mind to the A style, because the A style at $500 will bring you a much better instrument than an F style at $500. Third, before you order one online or buy in person, we highly recommend visiting some music stores to play around on the mandolin. Make sure you like the feeling and sound of the instrument. Many new beginners like the look of the mandolin but when they go to play, they find the narrow fretboard dramatically cramps their hands. Of course there are exercises to combat this, and they likely are not holding the instrument properly. But it is wise to familiarize yourself with the various makes and models so you can get a sense of the type of mandolin you want. In doing this, you can familiarize yourself with various brands and A versus F style mandolins, as well as their price ranges. Fourth: Once you have familiarized yourself with mandolins in person, try browsing online for the one you liked instore. 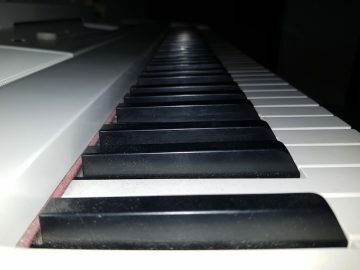 Since the instruments are sold online, the seller does not have the same business costs as a retail store, so you will be able to find a good deal. The lower price point is ideal for beginners or amateurs who may be looking for a crossover instrument. For example, a violinist may be curious about the mandolin since they are tuned the same, and want to try playing it. However, because they will be essentially quelling a curiosity, and they will only be learning the instrument, they will not want to invest a lot of money at first. $200-300 will get you a pretty good instrument on which you can learn and test the sound to see if you enjoy it. The lower price point ranges about $300 and below. Of course, a $75 mandolin will play much differently from a $300 mandolin, but in terms of the range of mandolin prices, this is the lowest you can go and still get a pretty good instrument (we’re talking more the $250-300 range). They are mass-produced within this price range. Anything in the lower price point will inevitably be made of laminate wood as opposed to solid wood. Laminate wood refers to strips of wood that are melded together in an industrial process. Solid woods start around $500 and up. You can find a nice A style made of laminate wood, but well made and high quality, for about $300. In fact, anything under $500 is likely laminated wood, which is a material that looks like spruce, but isn’t. laminated wood will usually be comprised of a thin layer of spruce on the outer surface, layered atop a wood core. The price will give away the materials but you can also tell a laminate wood by looking at the sound hole and inspecting the wood there. It will be visibly layered if laminate. The resonance and tonal quality of the lower price point mandolins will produce a sound reflective of their dollar value. For example, the action of the strings may not produce as strong a resonance as something in the mid to higher price point. However, there should never be any buzzing or ringing of the strings. If this occurs, this means your mandolin needs to be intonated. Intonation refers to the state of the instrument in which all strings are perfectly tuned no matter where on the fretboard you play it. For example, a G string will sound exactly like its twelfth fret harmonic. If your mandolin is out of tune as you go further up the fretboard, then it must be properly set up and intonated. This has to do with the placement of the bridge. Mandolin bridges are referred to as “floating bridges” and are held in place by tension of the strings. Because they are only held in place as such, they can shift over time after intense playing. The vibration of the strings has the strength to move the bridge and just a millimeter or two will make a big difference in the tuning of your instrument. Someone at a local music store can help you with this. In the lower price point, you will find brands like Ibanez and Rogue. For playability, we recommend spending at least $150 on a mandolin. While the difference of $700 seems to be quite a generous range, it makes sense when you consider that some mandolins, made of the highest grade woods and featuring fancier design will run $10 000 and more. For the mid price point, you may find a solid wood A style mandolin in this price range, but the F styles made of solid wood tend to start closer to $700. F style mandolins are more expensive because of the labour that goes into making them. While A styles are simple to carve and sand down, the F styles require much more attention and care. The body has beautiful curving edges and scrolls, requiring a highly skilled carpenter and a special saw to cut this shape from a slab of wood. More expensive mandolins will have an ebony fretboard, as this wood is very dense and sturdy. Think about it: you will be gripping and pressing hard on the fretboard. It’s got to be tough! Gretsch is a great name in the middle price range. Their designs are inspired by tradition and the design includes sound, built to capture the sounds of generations past. Gretsch mandolins are made with solid spruce tops and mahogany sides. Gretsch mandolins start around $330 and go up from there. These mandolins offer great playability and response and tone. If you are on a budget and don’t want to spend much, but are serious about playing mandolin and looking for an instrument that will last for a long time and keep its tune, and offer great playability, then you can expect to spend between $330 and $550. Keep in mind that on top of the instrument, you will likely want to have it set up or intonated at a music store (this will cost around $50-$100) plus you will have to buy a case and some picks. Factor in the music booklets and you will be spending closer to $700 anyway. The high price point can be a thousand dollars or it can be $250 000. This is the range for professional players or collectors who like to buy vintage guitars played by, for example, the legendary Bill Monroe. These mandolins are high quality solid wood or, as mentioned, will be collectible vintage items that are either played or autographed by a legendary player. Mandolins in this price range will be carved from solid pieces of the highest grade woods, and will feature all kinds of special design accessories, such as mother of pearl inlay in the fretboards or pickguard. You will absolutely get a beautiful instrument with wonderful tonal resonance at this price point, but you should be familiar with playing the mandolin before looking at anything over $1 000. In conclusion, there is a very large price range when it comes to shopping for mandolins. Before you buy, consider what you want the mandolin for. Are you trying out of curiosity and aren’t sure if you will play it for a long time? Or do you plan to dedicate a long time to playing the mandolin? Your instrument will be an investment. If you are buying it as a crossover instrument from guitar or violin, for example, then go ahead and spend only $200. 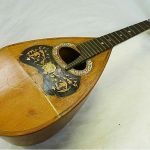 But if you plan to write songs and learn a lot of music on your mandolin, be prepared to spend closer to $400 or $500 (if you’re starting out). And if you’re a seasoned player, of course, you will be prepared to upgrade to a more expensive, solid wood model that may cost $1 000 or more.